Each month a new challenge block. At the end of the year, a pieced quilt top. 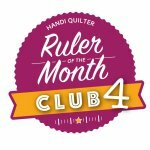 In the HQ Ruler of the Month Club you will be introduced to new ruler styles and techniques. This is a wonderful opportunity to get involved at your local shop and learn along with other quilters. By joining the club you will be saving on ruler MSRP over the course of the 6-month series. With video tutorial and education for each ruler, you will be sure to have much success in your experience with rulers. Six-month series builds confidence and rulerwork skills. You will receive a special club member gift. 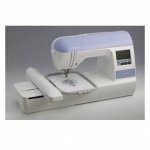 This is an intro class to machine embroidery using Brother or Babylock single needle machines. Each month a new topic will be discussed and samples will be shown.